Last Tuesday evening I walked with the Smellies, a group of ex-athletes. Think Last of the Summer Wine. Anyway, we walked from Bank Foot across the fields to Battersby, then climbed Coleson Bank, along the moor before descending Turkey Nab. Both Coleson Bank and Turkey Nab are ‘green lanes’, ancient routes which have managed to escape modernisation with tarmac. 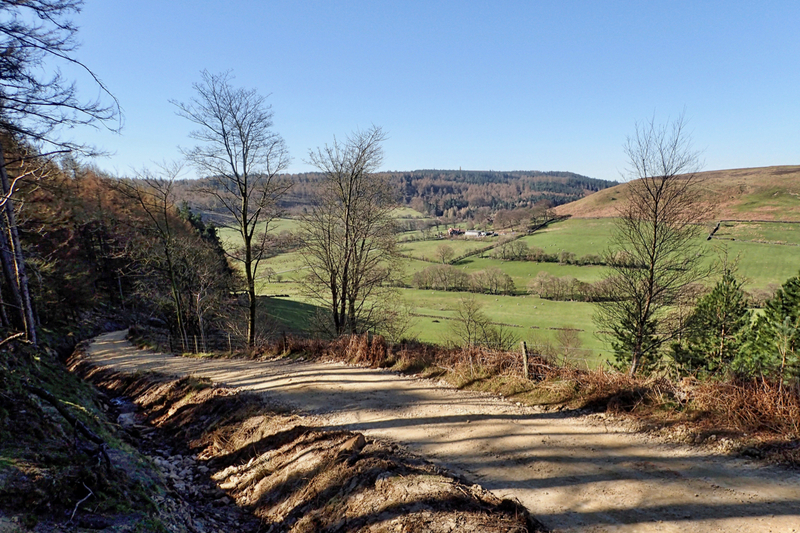 They are classed as Unclassified Roads and are supposedly maintained by the local authority, in our case North Yorkshire County Council, unlike Public Footpaths and the like which are the responsibility of the North York Moors National Park. If you so desire it is perfectly legal to take your vehicle on them and so they are a favourite for off-road drivers and riders. Coleson Bank was notorious, badly eroded into a deep gorge and unusable for all except the most dedicated driver. Anyway, to cut to the chase we were surprised to find both lanes have now been upgraded, still unmetalled but, alas, likely to be more usable. Fast forward to this morning and I find yet another Unclassified Road that has been upgraded. This is the one climbing Percy Cross Rigg from Lonsdale. Here is a photo I took four years ago, a muddy eroded morass. I do wonder where North Yorkshire CC have found the funds to do this work? I would have thought it would have been better the priority had been given to the county’s classified roads. Word on the street (well Bankfoot Lane) is that £20,000 has been spent on Turkey Nab. Apparently about 800 tonne of stone has been put down fettling it up. Several motorised users have complained to the lad doing the work that he has “ruined the trail”. He told them that tarmac was going down the next day! Serious cash! I fear an erosion gulley will soon develop.